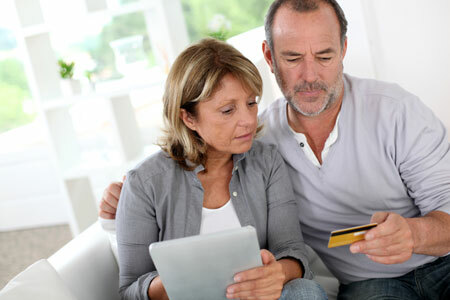 Debt can be very taxing for people who have large amounts of credit card debt. At some point, the debt becomes so large, costly and overwhelming that most people just deny their bills all together. 1.Realize you can beat it – Credit card debt is not the end of the world; it is a problem that can be solved with tenacity and attention. Virtually everyone has had or will have credit card debt in their lifetime, yet everyone eventually gets their way out. 2.Make a plan – Start gathering your credit card bills and write down how much you owe, and to whom you owe money. Having a plan and a view of your full credit card debts will help you make better decisions and stick to your goal of paying off your credit card bill. 3.Set small goals – Always break down your big goal (paying off your credit card debt) into several steps and goals. Having smaller, easy to reach goals will help you feel the success of making small dents in your debt load. 4.Let others know – Having the support of people around you will give you the encouragement and support you need to pay off your credit card debt. Unfortunately, friends and family can often be the reason that people spend too much. By letting others know about your goals, you’ll have a better chance at success, and the support you need when things get tough. Always start with a plan and a goal. While credit card debt – and all debt, for that matter – can be a stressful thing to deal with, it is possible to pay it off with strong dedication, support, and a plan.